A poor day at the office once again for the Daggers. 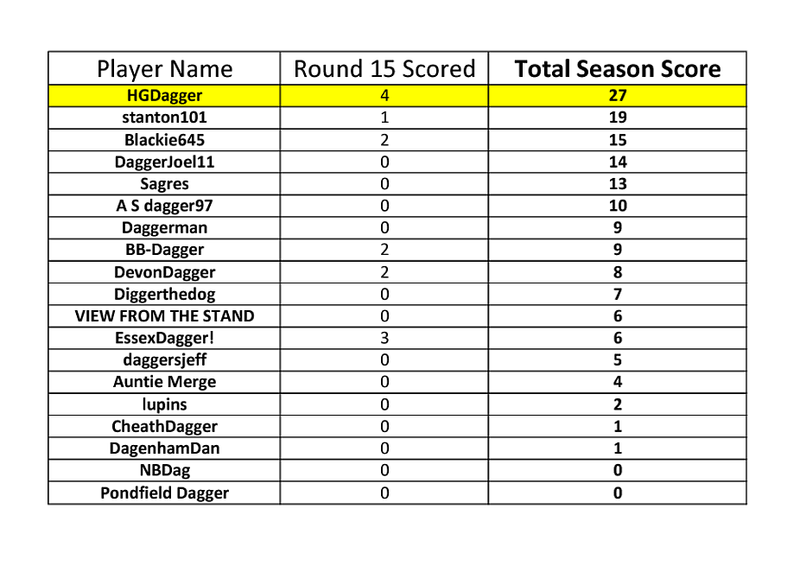 Not so poor on the scoring front however, HGDagger with another perfect score prediction. Only denied the full 5 points by forgetting to predict a goalscorer! A decent gap developed at the top though so well done on a good start.